First a small note. Please educate me if I misuse any terminology or say anything that doesn’t use preferred wordings. I’m new to this and there’s a bit of a learning curve. I want to be a good ally and that’s why I chose to read this book: in the hopes that experiencing a story through a character with a nontraditional gender identity would better help me understand how that world view differs from mine. The job of learning this stuff is mine, but support would be appreciated. 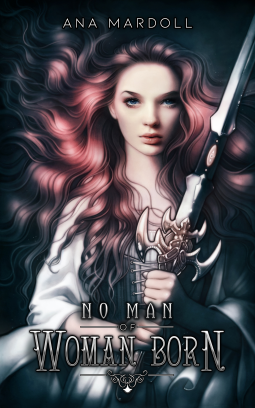 When I saw No Man of Woman Born on NetGalley, I immediately pinged another reviewing friend to make sure she saw it. We both were excited by the concept. When I read the preface, I discovered the book isn’t meant for us. It is meant for those people who may lack heroes (gender neutral, IMO. I never liked the word heroine either. They’re all heroes regardless of gender) to identify with in literature because they don’t fit what society considers normal for gender. Mardoll’s primary goal, if I understood properly, was to correct the exclusion of atypical genders from the fulfillment of prophecies. For example, “no man of woman born” was fulfilled by caesarean section. So the short stories all revolve around prophecies (and one curse) and how they can be fulfilled in non-cis ways. I’m pretty sure the book is a big success here. In some cases I recognized origins to prophecy, but not in all of them. Even apart from the gender experience, I appreciated the creativity in several tales, such as how the dragon was fought in the first one. Not going to tell you any more–you’ll have to read it yourself. My overall favorite is the retelling of sleeping beauty but I can’t tell you why without a spoiler. Again, read them for yourself to see. This is my first experience with neopronouns. As someone who was raised to see a disconnect when they is used as singular (yes, I’m aware there are many reasons it is acceptable, but it was very solidly pushed as wrong when I learned my grammar, so it’s a struggle for me), I would love a widely accepted gender-neutral singular pronoun. I adjusted more quickly to reading the different ones than I expected to. I still don’t understand whether these neopronouns are gender neutral or signify different variations on the spectrum. I shall have to do more research. My overall rating for this collection is 4 stars. I think a part of the reason it isn’t higher is my wants impacting the rating, rather than failings on the part of the author. I’d have liked a greater sense in more of the stories that they were heroes because of who they were as people and not merely because of their gender identity. But overall ratings like this are difficult to give and based on a very personal gut reaction. I’m sure it will be higher for many readers, including other allies, cis readers, and anyone else who wish to expand their horizons. I definitely recommend it. 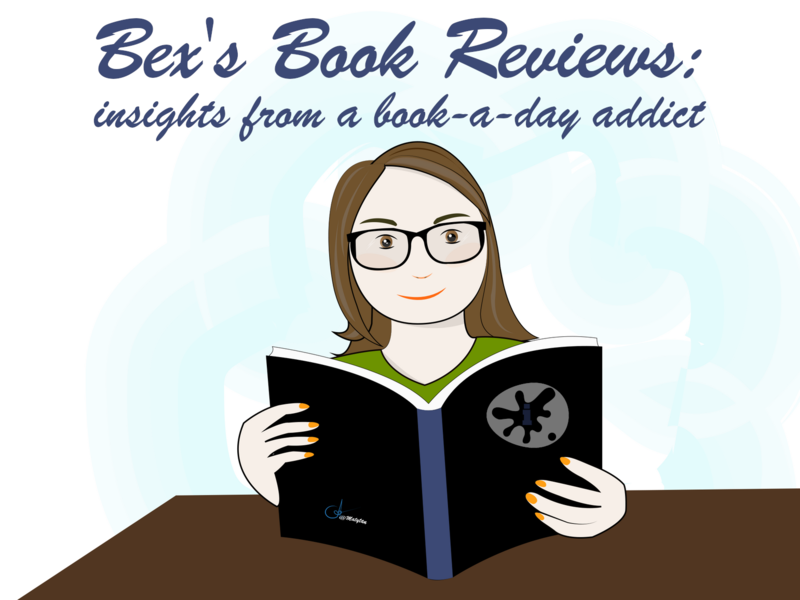 If anyone has an anthology or novel of nonbinary, gender fluid, or otherwise genderqueer spec fic that isn’t horror that they’d like reviewed, or general fic, please feel free to contact me if you’re open to a cis female reviewer who is super picky about writing. I’d especially like an anthology because it would allow me to see interpretations from multiple writers. As much as I enjoyed this collection, it is the work of one author. Who we are as a person always colors what we write no matter how hard we work at becoming someone else and how many beta and sensitivity readers we use. I am not in any way dismissing the work here, but I’d love the opportunity to hear more voices beyond this one to deepen my understanding of the variety of experiences. One voice is never enough when longing to better understand a minority. Mardoll’s work has moved me and increased my hunger for more. I also want to note that if anyone reading this is an author looking for a writing group that tries to be open-minded and diverse, feel free to check out INKubator. I am one of the admins there and we believe diversity in the group benefits all of us. We have active members focused on improving our skills and our peer review channel for fiction and poetry is popular. I can’t promise everyone is going to do everything right all the time, but our regulars include a lot of allies as well as members of the LGBT+ community. We welcome anyone who wants to work on improving their writing skills (with an eventual aim towards mainstream or self publishing at a high level of quality) and respect the other members of our community. We have no expectations that anyone share more personal information than they are comfortable sharing, be it gender, location, orientation, disability, or what they like to eat for dinner. We’ll do our best to use the pronouns you ask us to use when referring to you.